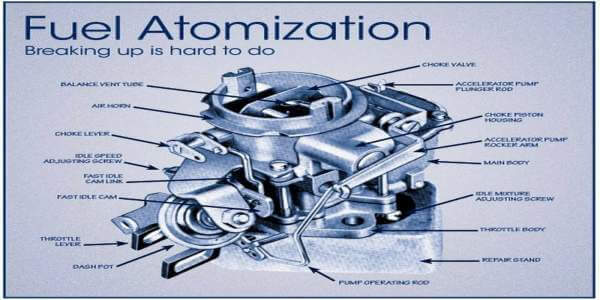 The purpose of fuel atomizer in automobile engineering is to atomize or break the fuel oil into fine particles. This will direct the spray into the combustion chamber so that every fuel particle mixes with the air. 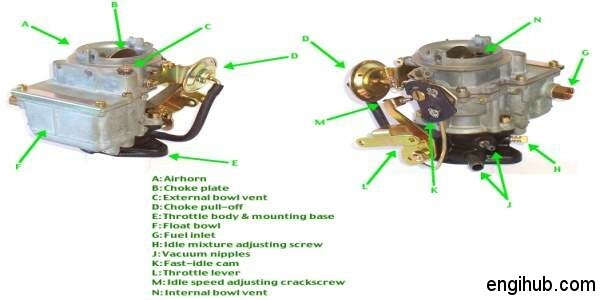 This action is somewhat similar to carburettor used in a petrol engine, where petrol is the break in fine particles and mixes with air. Here I will share detail information on parts and be working of fuel atomizer with you. The pressure of the fuel, supplied from fuel feed pump through the fuel passages lifts the nozzle valve. The fuel passes down to the nozzle and injected into a cylinder in the form of a very fine spray. When the fuel pressure drops, the nozzle valve moves down under the force of the spring and rests on its seat. This closing the nozzle inlet to the passage, thus the fuel supply is cut off. Any fuel leaked past the plunger of nozzle valve is sent back to the fuel tank through return passage. The adjusting screw enables the tension in the spring, to be adjusted. Whether the valve is working properly or not can be checked with the help of a feeding pin. Single hole nozzle, Conical ended single hole nozzle have just one hole, through which the fuel is sprayed. In order to achieve greater penetration of the fuel spray, the multiple hole nozzles are quite useful. Somewhere long stem nozzles are also in use. The pintle nozzle, which is used in engines employing swirl or pre-combustion chamber. Where the fuel is not required to penetrate the air. The stem of the valve is extended to form a pintle protruding through the mouth of the nozzle body. Hence such nozzles tend to give hollow conical spray varies from 40 to 60 degree, depending upon the type of the pintle. The delay nozzle is similar in action to the pintle nozzle. Except that the rate of fuel injection increases towards the end of the delivery. Due to the reduced quantity of fuel sprayed at the beginning of the combustion, there are reduced chances of diesel knocks. An injection nozzle should be mounted in such a manner that it is not subjected to intense heat. I hope the information about fuel atomizer will help you to understand the working of fuel atomizer.